PhD student at the Web Information Systems group of the Faculty of Engineering, Mathematics and Computer Science (EEMCS/EWI), Delft University of Technology. I studied Computer Science at Delft University of Technology concluding with my master thesis titled 'Finding Experts in a Corporate Environment' in 2011. Following my master, I started a PhD student position supervised by Alessandro Bozzon at the Web Information Systems research group led by Geert-Jan Houben. The topic of my dissertation is the maximization of Crowd Generated Knowledge which I plan to finish in 2015. My PhD takes place in the context of the COMMIT/ project SEALINCMedia project in the Web User Demand Elicitation (WUDE) work package. In my research I work together with Cultural Heritage institutions Museum het Prinsenhof, Rijksmuseum Amsterdam and Naturalis Biodiversity Center. Currently I am studying reddit, as a example of the open crowd, to understand how the open crowd can be used for knowledge crowdsourcing. This focus of this study is on the Crowd Invitation aspect where we experiment with different invitation strategies together with candidates expertise level. More information about our work package in the SEALINCMedia project can be found at the WUDE project page. The digital bird watching event attracted quite some media attention, both in paper media (Trouw) and digital media (RTL, Parool, Telegraaf) and was even featured on the Dutch TV news (NOS, from 10:49). The full article can be read here. Our journal paper titled "On the impact of knowledge extraction and aggregation on crowdsourced annotation of visual artworks" by Jasper Oosterman, Jie Yang, Alessandro Bozzon, Lora Aroyo, Geert-Jan Houben has been accepted for the special issue of Computer Networks on Crowdsourcing. Our paper titled "Predicting Quality of Crowdsourced Annotations Using Graph Kernels" by Archana Nottamkandath, Jasper Oosterman, Davide Ceolin, Gerben Klaas Dirk de Vries, Wan Fokkink has been accepted at IFIPTM 2015. This paper followed the collaboration with VU University Amsterdam. A journal paper on this topic is currently under review in the Journal of Data Semantics. The paper titled "Locating Domain-Specific Contents and Experts on Social Bookmarking Communities" by Simon Kassing (Honours BSc student), Jasper Oosterman, Alessandro Bozzon and Geert-Jan Houben has been accepted at ACM SAC 2015 for the Web Technologies track. Jasper Oosterman was invited to present the research relating Crowd Generated Knowledge and the Accurator framework on the AthenaPlus conference "Digitaal: kans of noodzaak?" on May 7th 2015. The presentation can be found here. Together with our partners in the COMMIT project SEALINCMedia we released a video showing the Accurator platform for the art collection of the Rijksmuseum. The platform itself is demonstrated at accurator.nl. Born in Amsterdam, the Netherlands, Jasper Oosterman studied Computer Science at the Delft University of Technology. His MSc thesis, titled 'Finding Experts in a Corporate Environment', concluded his MSc in 2011. 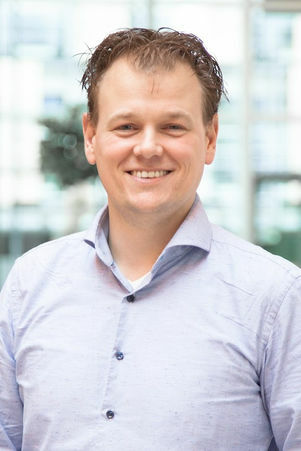 Following his master, Jasper started a PhD student position supervised by Alessandro Bozzon at the Web Information Systens research group led by Geert-Jan Houben. The topic of his thesis is the maximization of Crowd Generated Knowledge and he plans to finish in 2015. My resume can be found on LinkedIn.